Dr Omar is Head of Strategy and Communications at the Banking Association of South Africa. Prior to that, he worked for Mapungubwe Institute (MISTRA), a Johannesburg-based research institute. He served as South Africa’s Ambassador to Oman from 2003 to 2008 and then the United Arab Emirates from 2008 to December 2012. He also worked for various private and public entities including Meropa Communications and GCIS (Government Communications and Information System). He holds a PhD from Wits University; he graduated with an M.Phil from Nelson Mandela Metropolitan University. 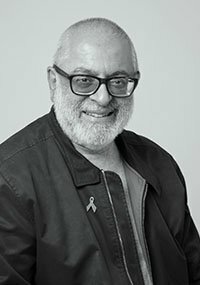 Dr Omar currently serves on the South African Tourism Board, on the advisory committee of the University of Witwatersrand’s Centre for Diversity Studies, and as an Advisory Board member of the Institute for International Management Practice, Anglia Ruskin University, Cambridge.